Snooper Shotsaver S320 Black waterproof GPS golf range finder has the brightest 2.8-inch LCD screen available on the market. Snooper Shotsaver S320 is preloaded with over 4,500 golf courses across UK and Europe. No download fees and no subscription charges! Snooper Shotsaver S320 is sanctioned by both the PGA and R&A for professional competition. Carry Snooper Shotsaver S320 in your pocket or mount it easily and conveniently on the specially designed FREE (included) golf trolley bracket. In addition a unique power cable is also available as an optional extra so that you can power your Shotsaver directly from the battery of any electrically powered golf trolley. Snooper Shotsaver S320 has been discontinued. The waterproof Snooper Shotsaver S320 incorporates WQVGA LCD with a resolution of 240x400 pixels making it the highest resolution screen in it's class, making it easy to read in any condition. In addition the Snooper Shotsaver S320 comes with a built-in rechargeble battery capable of guiding you round the golf course for up to 12hours! Snooper S320 Shotsaver uses the very lastest GPS technology to provide you with accurate positional information anywhere on the golf course. The database of golf courses covers the whole of Western Europe and gives you access to over 4,500 courses, one of the most comprehensive golf databases available and is still growing. Snooper Shotsaver S320 uses the most accurate GPS technology to provide you with distances to the front, back and middle of the green plus bunkers, fairways, streams, lakes plus many other hazards. Pre-loaded with over 4,500 courses across Europe! To make life even easier the Snooper Shotsaver S320 comes with over 4,500 golf courses across Europe pre-loaded, so you can use Snooper Shotsaver S320 straight from the box and has the capaciity to store up to 20,000 golf courses in total. However Snooper Shotsaver S320 is updatable so as and when new golf course information is added to our database you can downloaded it via your PC free of charge! Snooper's GPS Golf Shot Saver includes a number of easily identifiable icons designed to make it as easy as possible for you to see how far you are away from the green and what dangers lie ahead! All golf courses are plotted on foot to ensure maximum accuracy and in the unlikely event you can't find your golf course on the Snooper golf course list let Snooper know and they will have it plotted within 21 days (up to 60 days for course requests overseas). Record how far you hit each and every club! Many golfers don't know exactly how far they hit each club and in golf knowing these distances is essential. Use Shotsaver measure how far you hit each and every golf club so you can make the right club selection each and every time. Simply record the position of your ball, take you shot and then record the position it lands. Shotsaver will provide you with details of the longest and shortest distances you hit each club plus will keep a running average. Snooper Shotsaver S320's electronic scorecard will save the scores of up to four players. Enter the name and handicap of each player at the beginning of the round and then enter your scores at the end of each hole. Snooper Shotsaver S320's electronic scorecard will total your score and automatically calulate your net score and Stableford score. Snooper Shotsaver S320 let's you see your score at a glance at any time, leaving you free to concentrate on your golf. It is also possible to add street level satellite navigation and speed camera detection to your Snooper Shotsaver S320 as an optional extra. With Snooper's pocket navigation software you can use the Snooper Shotsaver S320 in your car as well as on the golf course! Snooper sat nav and speed camera detection software is supplied on a microSD card and can be installed in seconds. Simply slide the microSD card in to the microSD card slot on the underside of the Snooper Shotsaver S320 and you are ready to go! Snooper Shotsaver S320 can also provide advanced warning of all fixed speed cameras, SPECS and many laser sites using Snooper's AURA speed trap database. There are 3 easy ways to pay by Futurepay automatic payment system by credit or debit card. Data downloads are carried out via the internet using the download software supplied. In order to update the Snooper Shotsaver S320 golf course or optional safety camera database you will require a PC with Windows 2000, XP or Vista system software and have Internet access. Question: My shotsaver s320 keeps turning off when I am using it on golf course is there a solution? Answer: While we used to sell the now discontined Snooper Shotsaver s320, we have never offered repairs. Please contact the manufacturer (Snooper) via support@snooper.eu to discuss whether a repair is possible and viable. 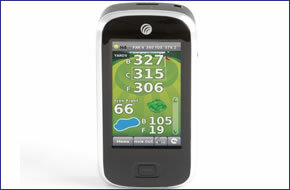 Question: I have a Shotsaver S320 tour pro golf GPS finder. The on/off switch at the top right is faulty, can it be repaired? Answer: I would recommend you contact the manufacturer via their support website: http://www.snooperneo.co.uk to see if your Shotsaver S320 Tour Pro Golf GPS finder can be repaired. Question: I have a Shotsaver Tour Pro S320. The battery does not hold charge any more. Can you get a new battery? Answer:For replacement a battery I would recommend you contact the manufacturer Snooper. We don't sell replacement batteries for any of the Snooper range. Do you have a question about the Snooper Shotsaver S320? Submit your question via our contact page.